For most high-protein foods, particularly meat and vegetables as well as peas and beans; cooking with these ingredients is usually beneficial to Abalone steaks. More important, this seafood contributes to good sources of nutrients, flavor and texture. To begin with, Abalone steaks enhances the taste of foods. With the marinated blends of spices, it harnesses the flavor of the steaks. It is one of the many seafood options that many can enjoy. In the kitchen, it is prepared under the tender loving hands of professional chefs, they compare it to scallop or lobster with the texture of veal; tender and redolent. First, the abalone meat is removed from the shell, then it is sliced horizontally into 4 slices, it is set aside for 2 minutes in the freezer. To continue, sherry is beaten into egg then seasoned with salt and cayenne pepper. For further preparation, the meat slices are dipped into egg then into flour. The butter is heated in a frying pan, abalone slices are added and fried for 1 minute. After it has been fried, it is then served with a squeeze of lemon juice. This brings out that succulent side of the Abalone steaks to a satisfied taste bud, especially when eaten with a vegetable salad. The heat of cooking texturizes this seafood, so that it can be chewed to attain good sources of nutrients, such as omega 3 and 6, Selenium and Phosphorous. In their raw state, many protein foods are tough for the human digestive system to handle as the body's digestive juices cannot get through to start work. For the greatest velvety Abalone steaks, in this side of California has the texture of juicy steaks. This abalone meat is pre pack to preserve the quality of the seafood, this is to obtaining the flavor and texture. The abalone meat can be refrigerated up to 6 months and is guaranteed it to be fresh. Best way to defrost frozen seafood: Place the package seafood in the refrigerator for 12 to 24 hours to lock in the freshness. To thaw, remove it from the freezer, place in a bowl in the refrigerator. Note that we deliver frozen seafood right to your door. 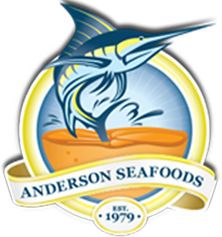 Anderson seafood is the best available on the market when it comes to freshness, visit us online and one will not be disappointed. Our Abalone supplier raises the highest quality naturally grown California red abalone which is an excellent choice for environmentally conscious seafood lovers. Our Abalone are harvested in the pristine waters of the Monterey Bay National Marine Sanctuary that provide an ideal environment for raising abalone. This legendary seafood delicacy is shipped as frozen prepared abalone steaks. The abalone meat is removed from the shell, trimmed and tenderized prior to being vacuum packed and frozen fresh to ensure a high-quality product. The steaks simply need to be defrosted, rinsed in water, and they are ready to be cooked. The quality and taste of the frozen and fresh are about the same. The prepared abalone steaks are definitely a good option for the amateur abalone chef! The abalone steaks average about 3 ounces each. Often compared to scallops or veal, abalones have a meaty yet tender texture. Our Abalone have been carefully hand-selected and harvested, they are cleaned and tenderized to produce a velvety steak. Instantly frozen to lock in freshness, they are delivered frozen to your door, making it easy to stock your freezer. Frozen products can be stored in the freezer for up to six months. To thaw, simply remove from the freezer in the morning, and place in a bowl in the refrigerator. Your fresh seafood will be chilled and ready to go by evening. When buying Abalone steaks online, make Anderson Seafoods your first and last source.